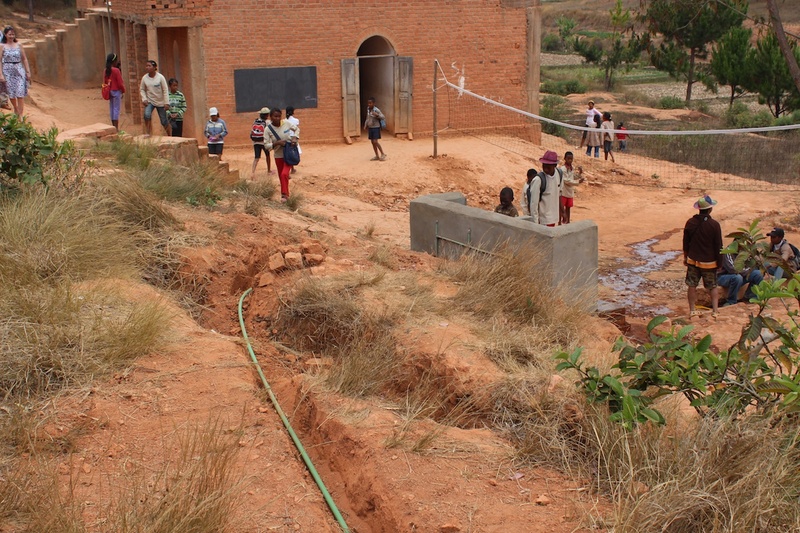 The system takes excess water from a local spring overnight (when the villagers are not using it), and stores it in a series of tanks for use by the pupils during the day for washing and drinking. 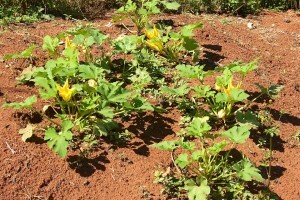 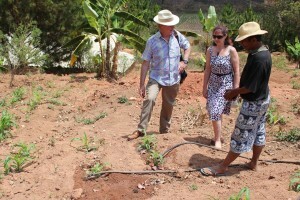 The system is so efficient that it is providing a surplus that is being used for irrigation. 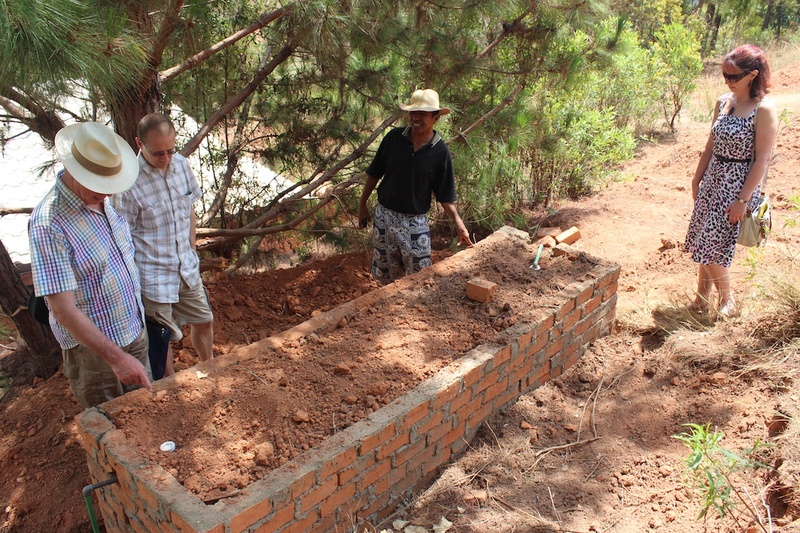 In the video below, Faly, the school principal, shows us the storage tanks and describes the system. 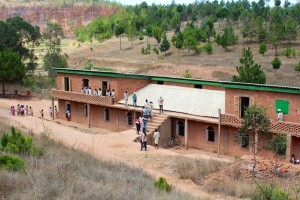 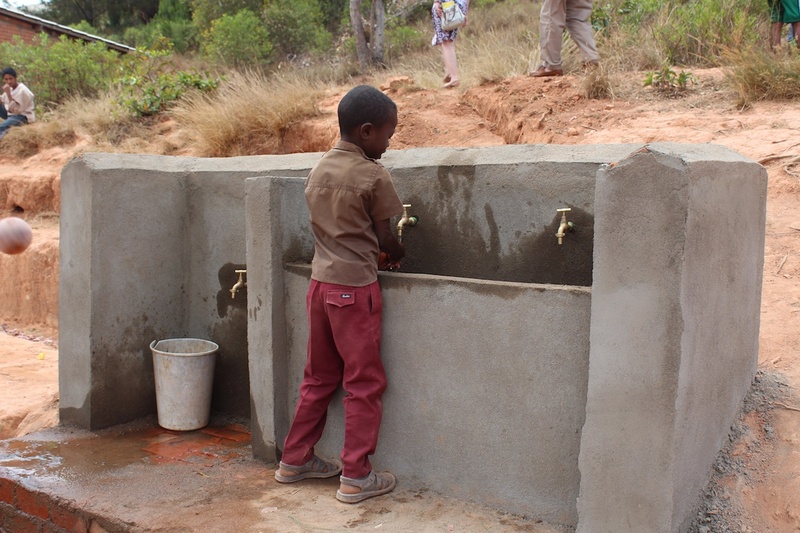 At the end of the video we see the school washing facilities. 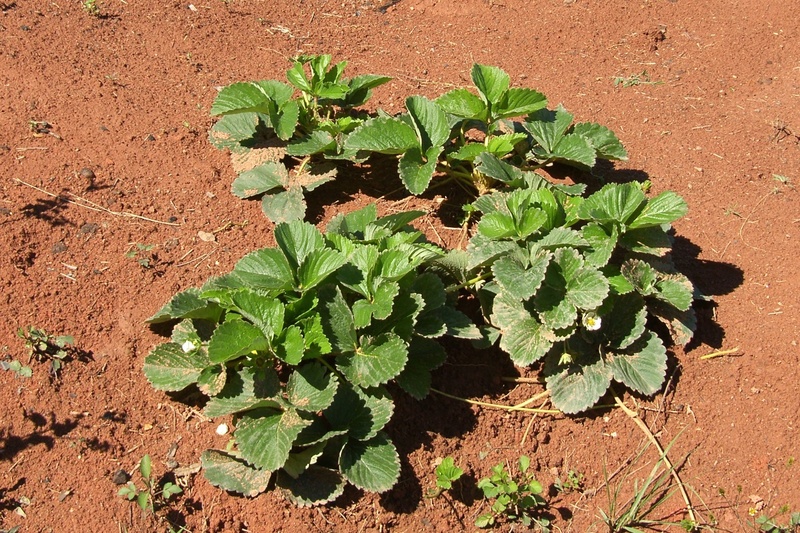 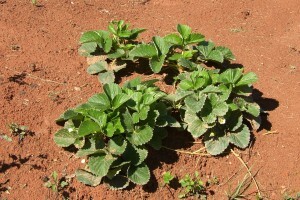 Click on the thumbnails below to view full-size images of the water system and of the plants that are growing thanks to the irrigation system, including strawberries which are a very rare and valuable crop in Madagascar. 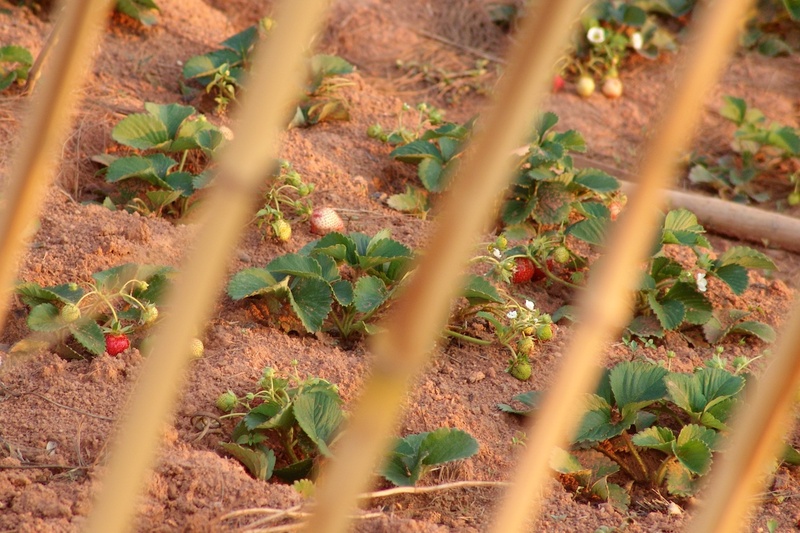 It is really worth listening to Faly telling the story of the strawberries (related video links above). 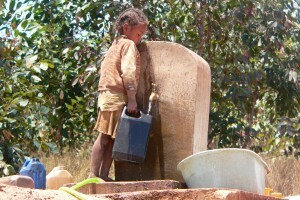 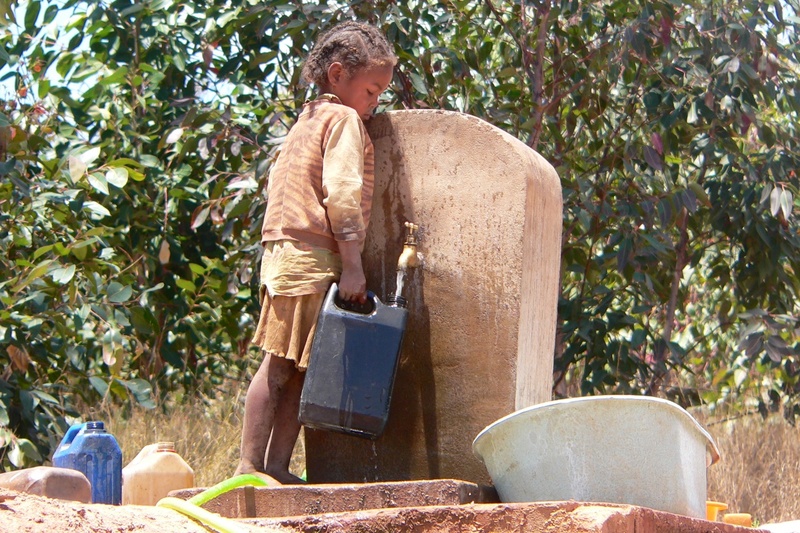 The last picture of the little girl filling a container is from 2005, at which time the pupils had to fetch all the water needed at the school in this manner. 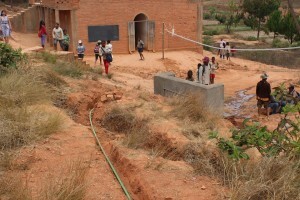 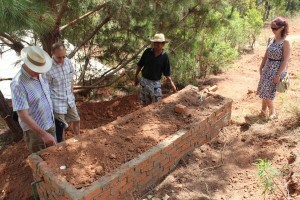 Faly describes the impact of the water project. Faly tells us about the strawberries.